Summer has not really gained traction here in the UK this year, but there have been one or two days when the truly Summer clothes can get an airing. The Baracuta jacket for designer Margaret Howell is very lightweight, with superfine cotton outer, and cream in colour. Really nice to wear, it almost feels like its cooling you when the sun is beating down. Look at that lining. Beautiful. 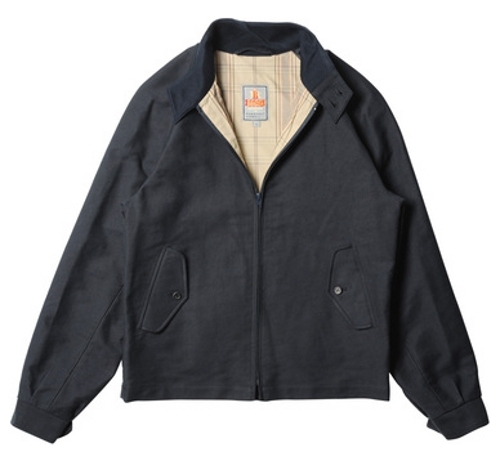 Margaret Howell, who has also collaborated with Fox Brothers, has another G3 Baracuta in her collection this year. This time its in a navy heavy cotton drill. I'm unconcerned about the lack of sun this season, like Margaret Howell, I'm happy to stick with my Baracuta year after year.